Sunteti purtatoare de ochelari sau pur si simplu va place sa-i purtati pentru design, acum aveti ocazia sa castigati un voucher in valoare de 20$ pentru a va alege perechea preferata de ochelari.Ce trebuie sa faceti? Foarte simplu! Aveti mai jos detaliile pentru participare! 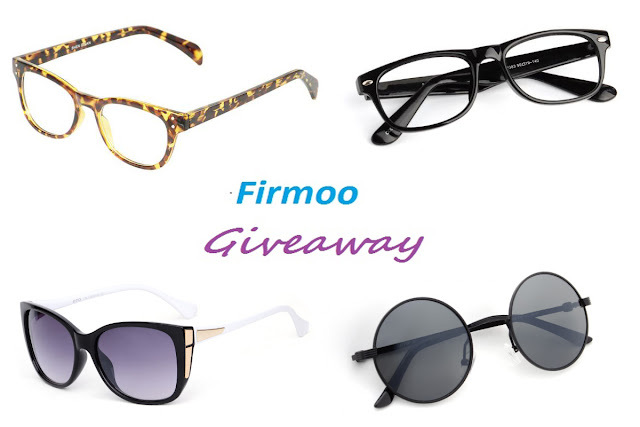 Firmoo.com gave me the opportunity to offer you a super surprise, a super Giveaway. 25 of you can win a voucher worth 20$. This voucher is applicable to any pair of glasses, excluding designer glasses. Everything is very simple, you can choose sunglasses or eyeglasses, or you can buy a pair of glasses gift for a loved one. I will choose 25 persons by random to get them. This Giveaway will end on Dec. 25th at midnight. Sunt foarte multe perechi dragute:x.
hmm...pai imi plac toti :)...greu de ales ! I loke the ones with black and white frames and colored lenses!